Well, I finally used up the ham that was left over from our Easter dinner, but it took some effort! There were only five of us for a rainy Easter Sunday dinner this year. 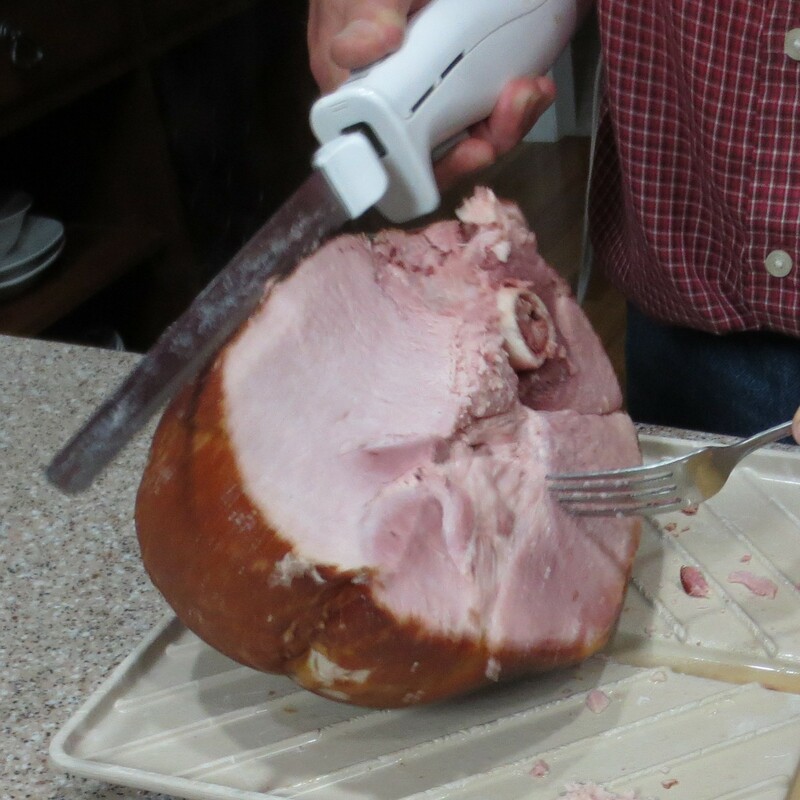 Even though my ham weighed just six pounds there was still enough left to last a good week, but I managed to use it all down to the last litle bits. Here’s where it all went. Even though I try, Monday is not always Meatless, as was the case this past week. We had Leftovers of course! That was a good thing though. It gave me the time to break down the ham into the portions I needed for the rest of the week. I also used this advanced prep to turn the ham bone and vegetable trimmings into a flavorful cooking broth for other dishes. The Mashed Potatoes were repurposed as well. 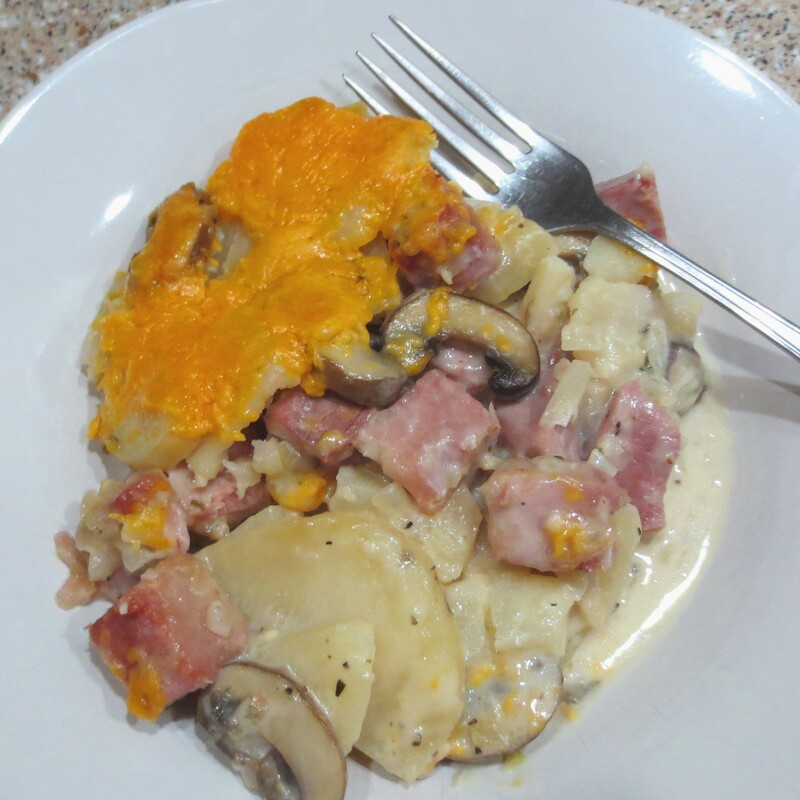 Tuesday night I served Michael one of his favorite dinners, Scalloped Potatoes with Ham and Mushrooms. I have several recipes for scalloped potatoes and ham, but I think this one might be the best. It’s a little lighter than most and the flavors all seem to stand on their own. The smallest scraps of ham that I harvested from the whole went into Ham and Potato Cakes. These cute little patties are good for breakfast, lunch or dinner. This time I made a Maple Mustard Sauce to serve on the side. 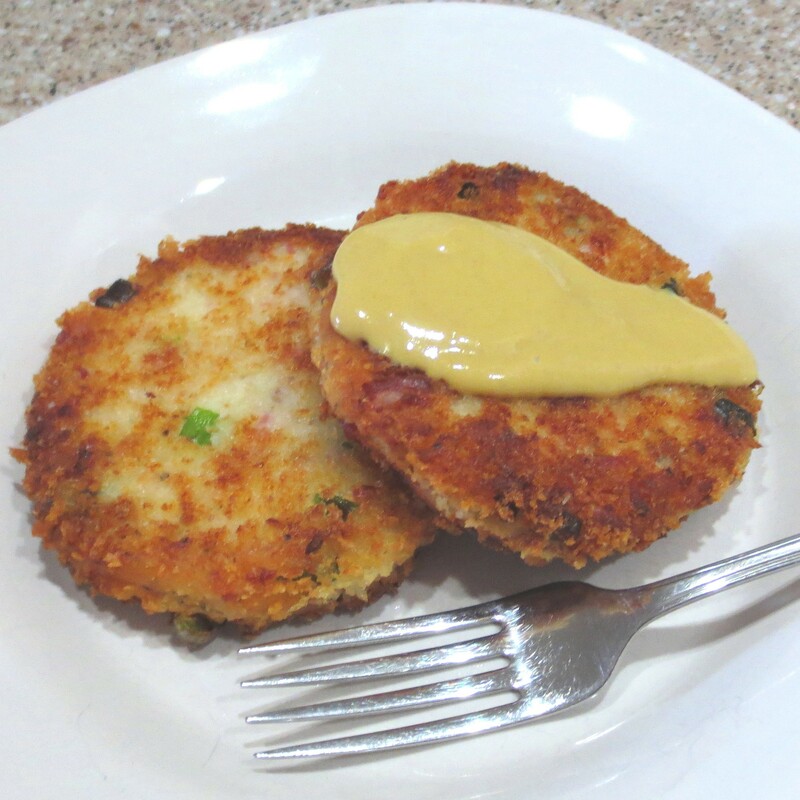 The remaining mashed potatoes evolved into a similar recipe, Cheesy Potato Cakes . Those were bound for the freezer. If you’re wondering why I cooked up so darned many mashed potatoes, there’s a very simple answer. I bought too many because the 15 pound bag was less expensive than the 5 pound bag, and all those potatoes would soon be going bad. Now the work is all done and I have quick and easy side dishes good for any time of the day. 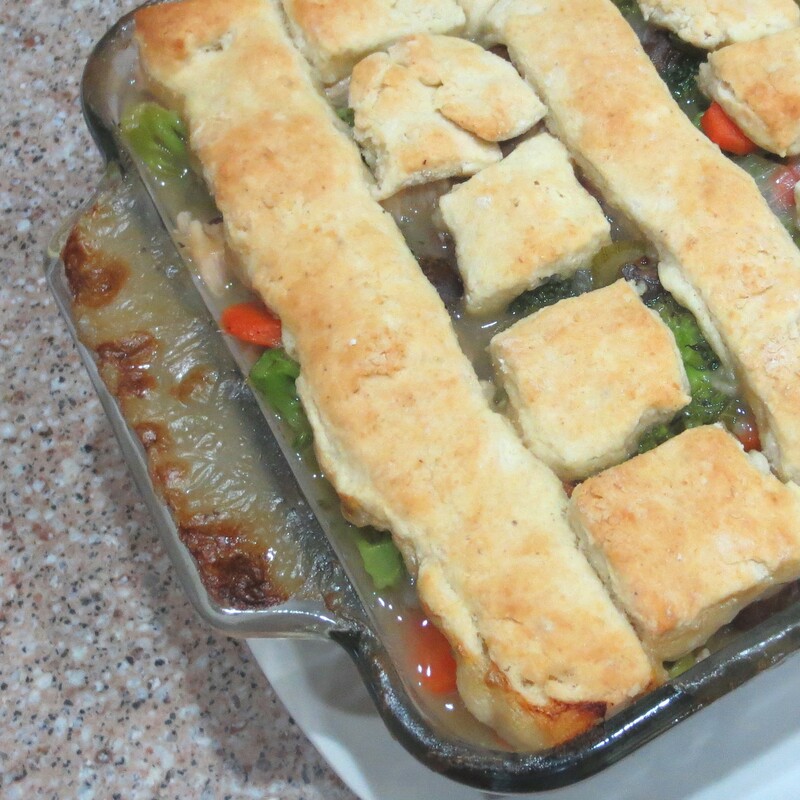 Wednesday’s dinner was a break from the ham, my saucy Chicken Cobbler. Well, at least it was supposed to be saucy until I used the wrong size baking dish and it boiled over. 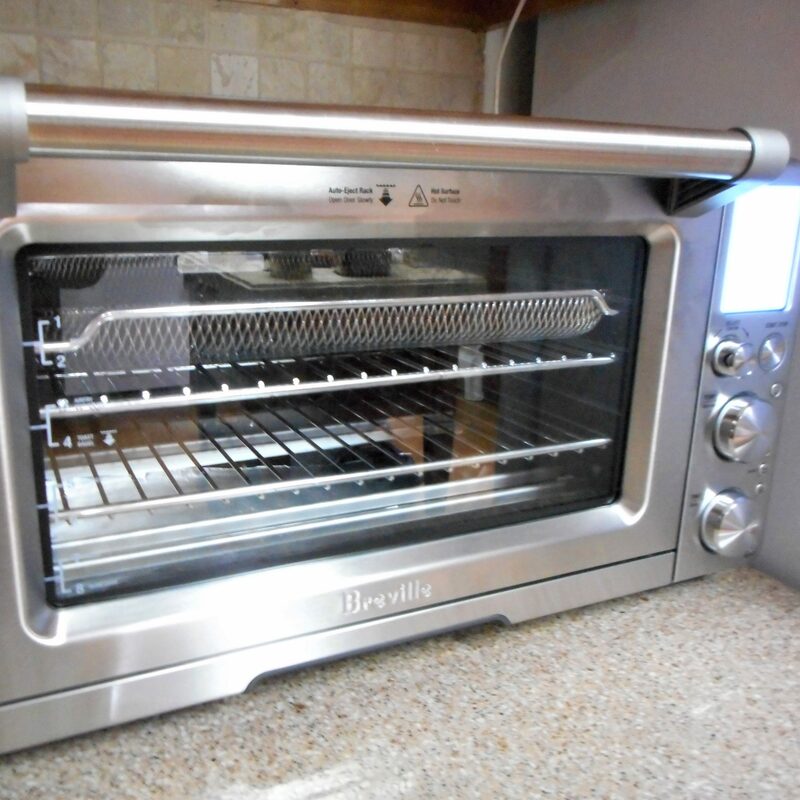 Time to clean the oven! One more Ham dish made it’s appearance before the end of the week. 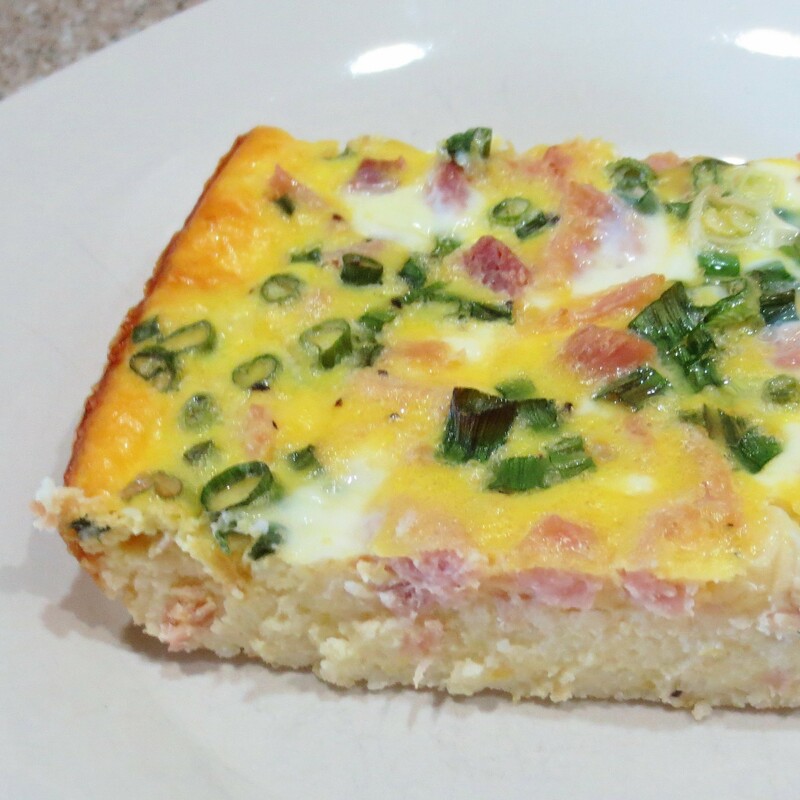 My Ham and Eggs in a Garlicky Grits Crust are not for the faint of heart. 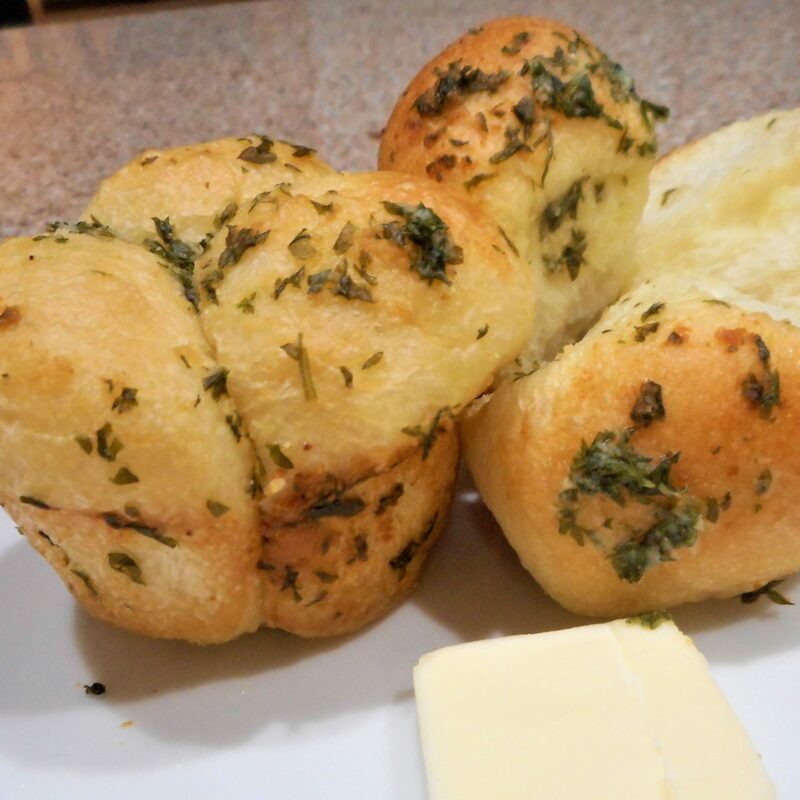 They are garlicky! Of course, that is easily toned down, but face it, we love garlic. It’s supposed to keep you healthy, right? Well, maybe that’s just because nobody else wants to get too close to us, but hey, whatever works! 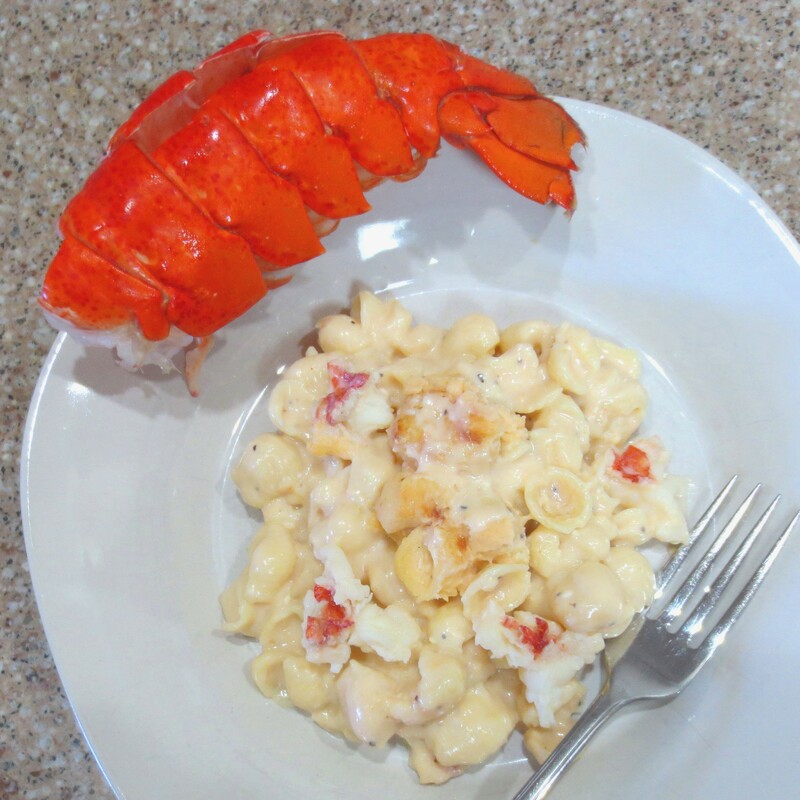 We finished the week out on Fishy Friday with my second attempt at Lobster Mac and Cheese. I think this second version of the recipe is just what I was trying to create. Steeping the shells and a slice of lemon in the pasta cooking water amped up the lobster flavor a bit. (The water was strained before the pasta was cooked.) The cheese sauce was better balanced this time, too. The only thing that might improve this recipe is more lobster, but around here lobster is expensive. You can’t have everything. I think it will take a while to recover from that menu! Anybody have any gall bladder friendy recipes they’ like to share? I’d love to have them. Just contact me here. This entry was posted in Uncategorized and tagged food, ham, holiday, leftovers on April 2, 2016 by lizziesmom2012.